100 Rogues is a turn-based single player Rogue-like adventure through randomly generated dungeons. Find treasure, fight monsters, and do battle with Satan himself with four different characters, each with their own unique abilities. 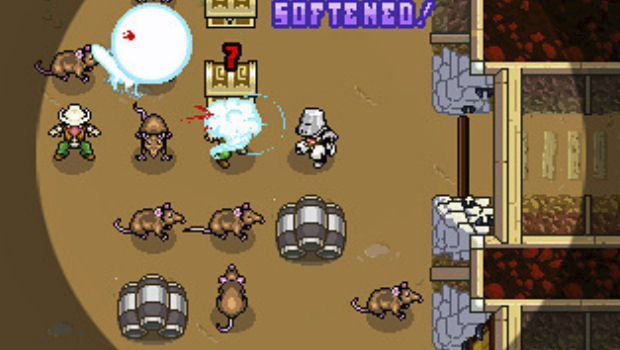 Originally released May 2010 for iOS. Grab it now on the App Store. Learn more about the game at the official 100 Rogues Forums. Four unique player classes – with completely different skill trees and abilities. Regardless of whether or not you like roguelikes, or even RPGs in general, this is a game that you’re going to want to try out.